Get Grubby TV is a new special from the Northern Rivers based, Emmy award winning creators of dirtgirlworld. 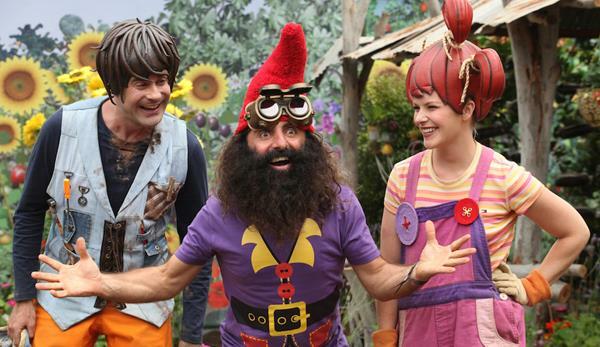 Following its premiere on ABC4Kids on Friday Dec 5, it will also be available on iview and on DVD. 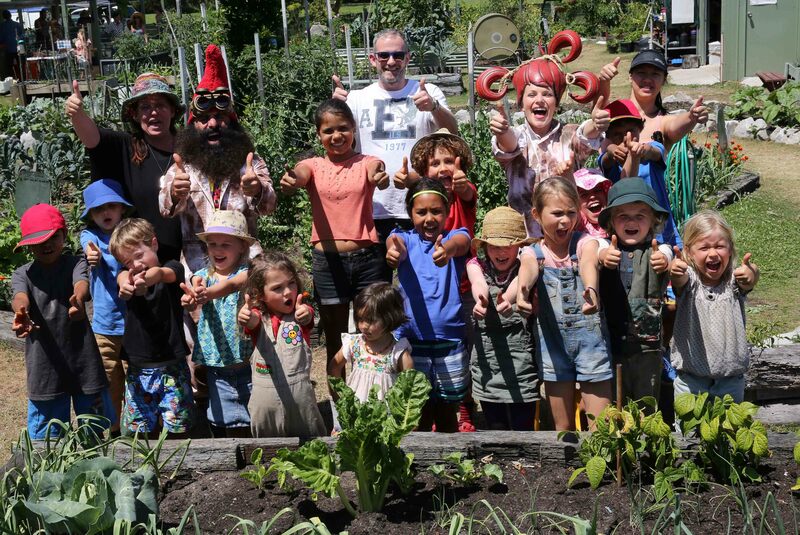 This half-hour television special was devised, developed and filmed in the Northern Rivers using local ‘green thumb’ kids, as well as local and visiting crew. Co-creator Cate McQuillen is recognised internationally as a world leader in eco-friendly children’s TV. With an impressive model of sustainable filming, Get Grubby TV sourced props and materials from local op shops, garage sales and Facebook waste-not-want-not websites. The production also received support by the way of donated materials from the local community. 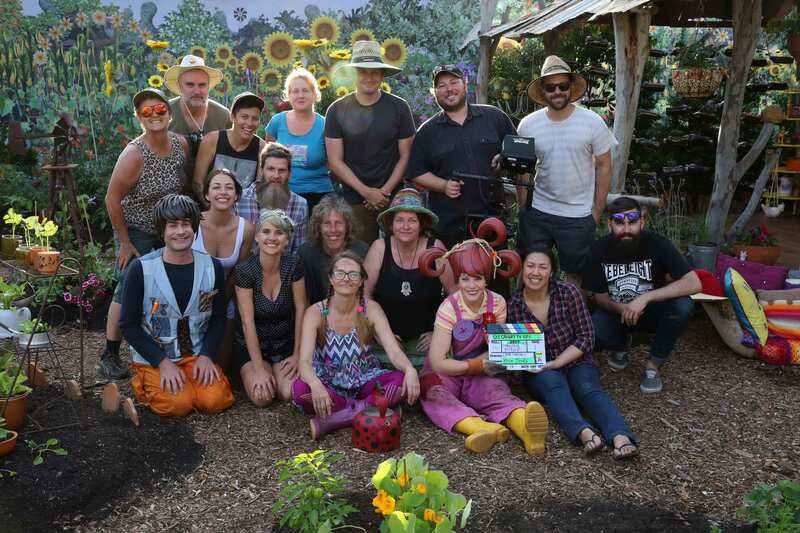 To add to the eco-credentials, the production was solar powered and visiting cast and crew stayed on the production company mememe’s property in Whiporrie in tents, cabins and caravans. The Get Grubby TV message is eco-friendly. “This home spun story provides inspiration for kids and families everywhere to get off the couch and explore their own big world outside,” explains Cate. “It’s such a privilege to create live action pre-school television with real kids in real gardens, celebrating and sharing what these kids love to do… there’s definitely a story, but it’s also like making reality TV for kids – no one really knew what was going to happen next!”The Get Grubby kids with Costa, dirtgirl and some of theThe fun doesn’t stop with the on-air program. Beautiful ‘How to’ kits will be available to download from the ABC4Kids website with step-by-step instructions for the projects in the show. Information and inspiration will also be available on the Get Grubby TV Facebook page and via the show’s own website. Get Grubby TV is created and produced by mememe productions in Northern New South Wales and is developed and produced in association with the Australian Broadcasting Corporation.